NK Chitrakut Heights is a residential development of NK Realtors. Located in Kolkata East, it is built across a wide area. These luxurious 2BHK, 3BHK and 4BHK apartments makes it a dream home to everyone. These apartments are beautifully crafted with basic amenities and is approved by WB RERA. Private Party Room with Karaoke, Electric Guitar, Drums, etc. Where is NK Chitrakut Heights located? New Town, a prime residential locality for house seekers in Kolkata East. What is available flat size in NK Chitrakut Heights? 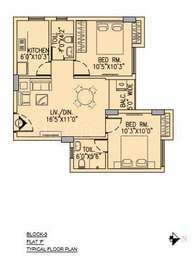 Flat sizes in the project range from 883.0 sqft to 1684.0 sqft. What is the area of 2 bhk in NK Chitrakut Heights? 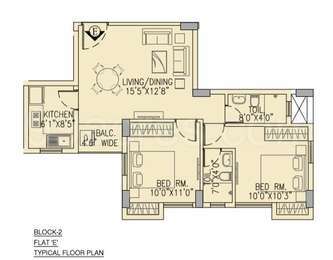 The size of a 2BHK unit in the project ranges from 883.0 sqft to 913.0 sqft. What is the 3 bedroom size in NK Chitrakut Heights? The area of 3BHK units in the project varies from 1093.0 sqft to 1285.0 sqft. What is the area of 4 bhk in NK Chitrakut Heights? The size of 4BHK units in the project is 1684.0 sqft. How much is the total size of NK Chitrakut Heights?The project is spread over an area of 1.7 Acres.